It wasn’t easy for us to get pregnant. We’d succeeded once, then lost it. We continued trying, but it just wasn’t happening. So we sought help and, through a progressive series of interventions, we succeeded. 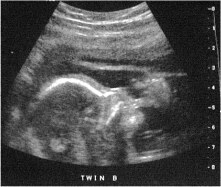 Sitting in the darkened examination room, the ultrasound technician moved the wand as we watched the flickering screen. It was hard to know what to look for. My high-school biology was completely failing me. What were we supposed to see at 9 weeks anyway? That’s when the technician delivered the news: there were two heartbeats. I tear up as I write these words now, ten years later, remembering how blessed I felt. We were not going to have one, but two babies. Life was going to change irrevocably. How would I feel if I had a chance to do something to help my kids, but passed up the opportunity? As the twins gestated, so did my parental sense of protectiveness. There was so much to consider in the books and classes for parents of multiples. Then there were the genetic tests. Each came with their risks and benefits, swaddled in moral challenge. Every week, there seemed to be a new layer of complexity, new things to worry about and to decide. During one of our prenatal counseling sessions, we were introduced to the technology of cord-blood storage. Great, I thought, another decision to make. ‘Why would I need it?” I wondered out loud. I tried to wrap my head around this. 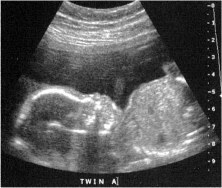 So we could sign up to save the umbilical material and store it indefinitely in the off-chance that our gestating twins developed a rare disease in the first decade of their lives. Crazy ideas and questions swirled around my head as I tried to weigh the costs vs. benefits of this proposition. What would it cost to store this genetic material? 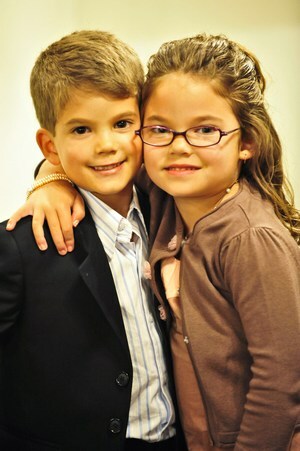 What were the chances of my children contracting a rare disease? But the question that cut to the heart of the matter for me was this: how would I feel if I had a chance to do something to help my kids, but passed up the opportunity? This was a place I’d never want to be. We bought the cord-blood storage service. And, in retrospect, it seems much clearer now why we did. I could say I was buying insurance. But unlike insurance, there was no guaranteed benefit. If a rare disease struck, a cure was not guaranteed. In the end, what I was buying was a hope. An option, a choice, a possibility. Nothing is guaranteed in life. Nothing. All you can hope for is a chance. We had been blessed with a chance to bring two babies into the world. I wasn’t about to give up a chance to protect them in the future. I’ve recently been thinking about the cord-blood storage service offered by Insception and whether we need to continue with it. When we bought this service almost a decade ago, ten years was the time horizon we were told to consider given the state of the science at the time. But the science of stem cell treatments has evolved considerably over the past decade to treat all kinds of diseases. And this genetic material could be helpful to more than just my children, but to any adult or child genetically related to us. Our decision to store our kids’ cord blood started as a tiny hope, a form of insurance, in the face of an unforeseen future illness. This stored cord blood has morphed into a genetic asset that may have broader uses than we ever envisioned. And so I’ve decided to continue storing our kids’ cord blood for virtually the same reason we started: how would I feel if we had the chance to use this material to help not only my kids, but their older sister, or my wife or her genetic relatives, but we passed up the opportunity? I don’t ever want to be there. As part of my decision-making process to renew my commitment to cord-blood storage, I did some research and questioned the value of the service. In recent years, many service providers have emerged and they’ve received more public scrutiny than ever before. Some critics cite lack of examples in the published medical literature of kids being cured with their own stem cells. While others point to the high costs of personal storage and the benefits of public cord-blood banking. While I’m sympathetic to the idea of public cord-blood banking, I question the notion of private storage being “expensive”. Expenses are always relative, but “up to $3,000 over 18 years” does not seem expensive to me for a chance to benefit from scientific advances in stem cell treatments. And that is the really the point. 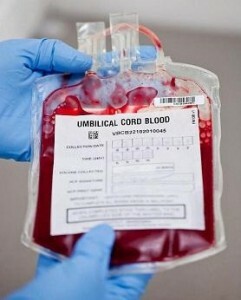 I didn’t choose to store my kids’ cord blood because I intended to use it. I just wanted the option. I knew full well that the science might not be there when I needed it. But it still might be there in the coming years. Recently, I was approached by a marketing firm working on behalf of Insception asking me if I’d be interested in publishing their guest post on my blog. The thing is, the marketers approaching me did not realize that I was not just a dad blogger, but also a satisfied customer. They’d stumbled upon a real opportunity. I had already been thinking about writing a blog post on this topic for a while because I had been struggling with whether or not to continue to store our cord-blood or not. As my readers know, ever since I started my social media consulting business my personal blogging has fallen off. I would certainly get to this topic eventually, but perhaps not for a while. It’s a busy time and clients have to come first. That’s when it occurred to me that I had a genuine story to tell and telling it would have great value to Insception. Why should I be just giving it away? Why should I be trying to squeeze in a few hours of writing on the weekend during a month that I’m traveling and away from my family half the time? So I made the marketers an offer: I’ll find the time to write the blog post sooner rather than later if you compensate me for the time it will take me to write it. They agreed. I must confess that I am still wondering whether this was the right way to approach the situation. Having been an Insception customer for almost a decade, my implied endorsement of this company and cord-blood storage is clearly not being “bought”. Yet, my time is. As always, I’m interested in your comments or feedback, whether they be on the benefits of cord blood storage or on my acceptance of a few hours of compensation to share my feelings.